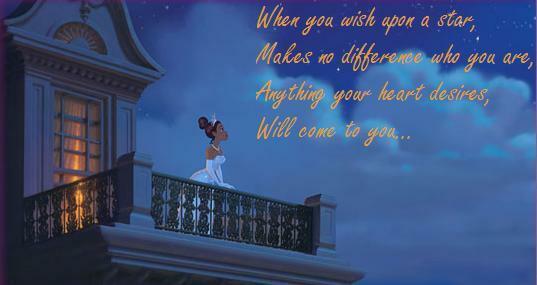 Tiana's Wish Upon a bintang. Just something I put together -- a sceencap of Tiana at the ball wishing on a bintang paired with the song lyrics from "Pinochio". Wallpaper and background images in the The Princess and the Frog club tagged: princess and the frog princess tiana disney pinochio when you wish upon a star. This The Princess and the Frog fan art might contain bannister, pegangan tangga, pagar, langkan, pegangan, banister, and birai. Anyone like it? It's not much -- just something I put together. A different version is on the Classic Disney spot.